For over 25 years, Managing Director Phillip L. Currie, Jr. has consulted in the employee and executive benefits field where he is recognized as an industry leader. His expertise includes designing executive benefit programs that align plan design features with corporate objectives and the implementation of various employee benefit cost take out strategies. 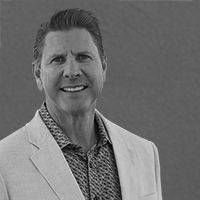 Phil currently oversees the management of numerous employee and executive benefit programs for his Fortune 1000 clients, which are long-term client relationships that are built on trust and confidence in Phil’s experience and integrity.